Considering we're one financial slipup away from living out The Grapes of Wrath, we can now get excited when Sony crams higher-end features like network widgets into their budget-friendly, W-series Bravia LCD HDTVs. These DLNA-compliant, 1080p displays come with Ethernet ports, so you can get on the internet and connect to widgets, which include Amazon Video-on-Demand, Youtube, Yahoo and Flickr. It also has a USB port, letting you plug in any USB storage device with photo/audio/video content play the files back on the TV. 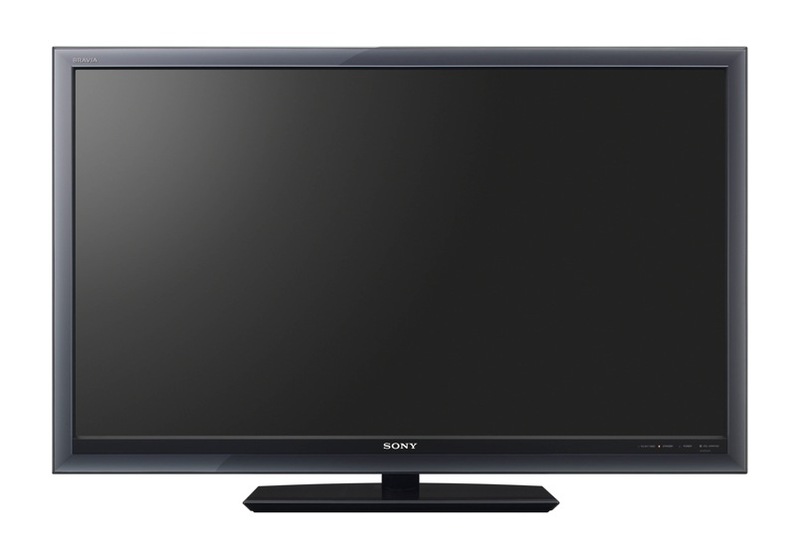 The LCDs also features Sony's Bravia Engine 3, 24p True Cinema, a 120Hz frequency and the XrossMediaBar UI. The W-series will arrive this spring in 42, 46 and 52-inch flavors, but despite being labelled as an "economic" option, there's no mention of pricing as of yet. There will also be an accompanying 3.1-channel AV soundbar that supports 1080p video in. It will hit stores in June for $500. LAS VEGAS, March 2, 2009 - Bolstering the recently announced 2009 BRAVIA® LCD HDTV line-up, Sony Electronics today announced a series of additional networked models with full HD 1920 x 1080 progressive (1080p) resolution. This new W-series adds an economic HDTV option, while delivering the same interactive functionality as the recently announced BRAVIA Z5100 and XBR9 models. The networked models feature an Ethernet connection so the sets can directly access Sony BRAVIA Internet Video content using an existing broadband connection. The service offers one of the largest selections of free and premium movies, TV shows, sports, music and more from an array of partners like Amazon Video On Demand, YouTube®, Yahoo!®, Sony Pictures, Sony Music and many others. BRAVIA Internet Widgets, provided by the Yahoo! Widget Engine, expand and personalise the experience by allowing you to interact with your favourite Internet content like Yahoo News, Video, Finance, and Flickr® while watching TV shows. Track your favourite sports team, check your stocks, and share photos with friends and family as you watch television. The 52-inch KDL-52W5100, 46-inch KDL-46W5100 and 40-inch KDL-40W5100 (diagonal) models feature Motionflow™ 120Hz technology for improved sharpness and detail in fast-moving images. They also feature Sony's BRAVIA Engine™ 3, which delivers a crystal clear picture even if the content isn't perfect. The W-series models are Digital Living Network Alliance (DLNA®) compliant, enabling easy access to digital photos, music and video stored on a PC or other DLNA server using the XMB® interface and the TV's remote control. They also offer a USB input for displaying digital photos or playing digital video and audio files from compatible USB storage devices. Designed to match the W5100 series models, the HT-CT500 3.1 channel sound bar supports features an integrated AV receiver supporting full HD 1080p video and the latest advanced audio codecs. This sound bar theatre system will be available this June for about $500. The new KDL-52W5100, KDL-46W5100 and KDL-40W5100 networked televisions will be available this spring direct through www.sonystyle.com and Sony Style stores, as well as authorised retailers nationwide and military base exchanges.